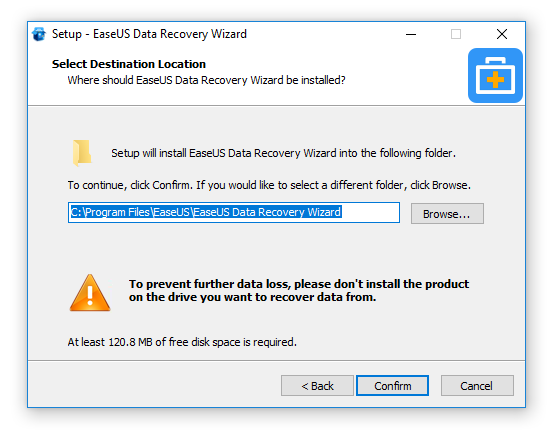 EaseUs Data Recovery review - Can you really recover lost data? Data loss happens, either mistakenly or by hardware crash. If there’s no proper backup, recovering that deleted/corrupted data is also important. 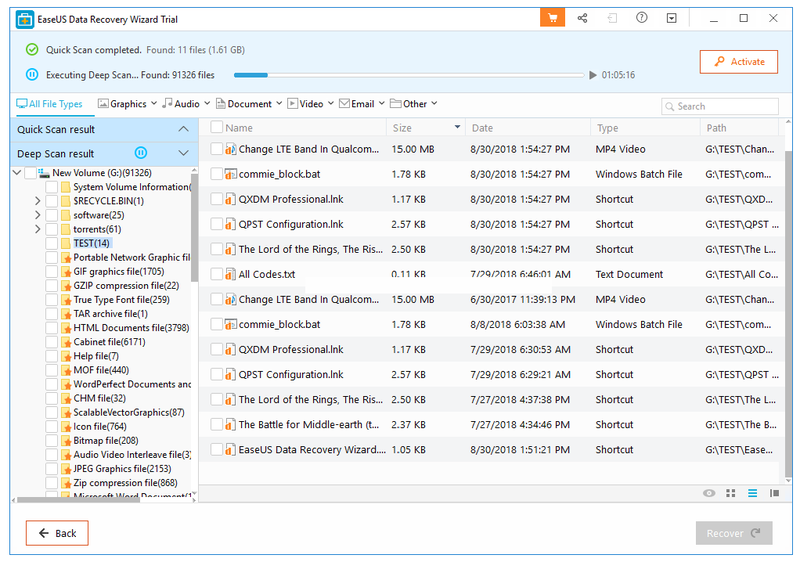 EaseUs data recovery wizard is one of the many data recovery software out there. This cross platform data recovery software runs seamlessly on Windows, macOS, Android and iOS devices. Today we’ll do easeus data recovery review to know it’s true potential and usefulness, on Windows platform. This data recovery software can recover data from any Windows. Mac , Android and iOS based device, including Windows Server 2016/2012/2008/2003. Though ARM based Windows RT platform support is still unknown. And talking about the media from which it can recover data, almost every kind of storage device is supported. So, from the above picture, it supports all major magnetic and flash storage device. 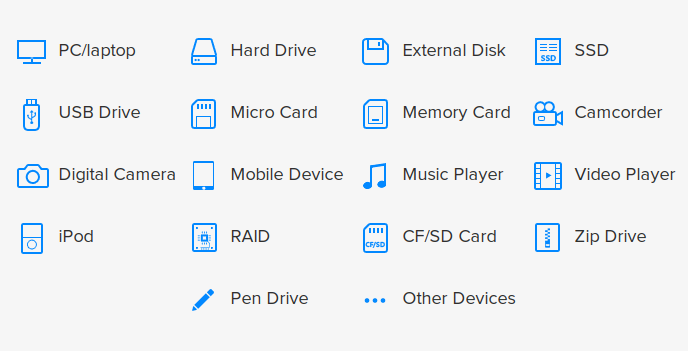 Practically any storage device that could be connected to the host OS, either it’s a Media player connected over MTP, a SD card, or a SSD. 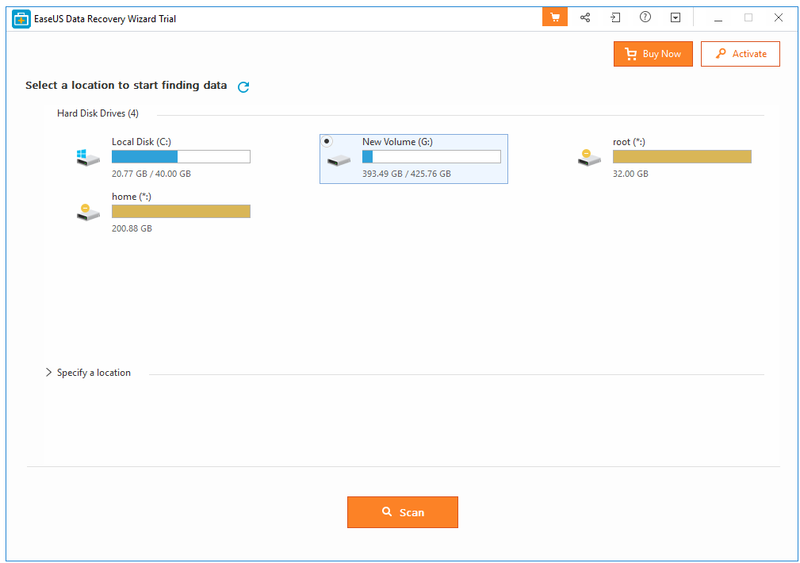 As any other software, installing EaseUs data recovery wizard is quite easy. Just download the proper installer file from this link. Then double click over it to start the installation, accept terms and conditions and select a installation location. Here’s a little tip, by default it’s installed on C drive on Windows. If you want to recover lost data from your C drive, then don’t install it there. So, how you can use this tool to actually recover the data? Again the procedure is quite simple. First you need to run the application either by double clicking over the launcher shortcut on desktop or use the windows home key to find the app then run it. The first step is to select either an entire drive or a specific folder to recover the data. If the drives are not compatible with Windows, then it will be shown in yellow color, as in the above screenshot. First the app will do a quick scan to build the file index, then it will perform a deep scanning. The deep scan might take few hour, depending on the size of the drive partition. The good thing is you can pause the deep scan. You can see there’s a d sign in orange color on deleted files. Those are the deleted files you can restore. To properly restore the deleted/corrupted data, you need to wait till the deep scan is complete. The recover process is pretty snappy, you just right click over the restorable files, select Recover and it will restored to your desired location. But here’s the catch of the free version, you can only restore upto 500 MB data. Or 2 GB if you’ve shared it on social media. Does it really work? From my personal experience, I’d say yes. Chance of recovering a recently deleted files is let’s say 99%. Even I can see files deleted more than a year ago, many of them are still restorable. Can it recover data from a formatted hard drive? The answer is also yes. But depends upon how it’s formatted. If it was a quick format, than most of the data are still recoverable. The hard drive I used for testing, was formatted many times during repeated windows installation. And you can see the above result. However it’s not guaranteed that EaseUs data recovery will definitely work. But most of the time it should work. Till now I’ve not found any single downside, except 2 minor issue. It was unable to recover few really old deleted files, that’s normal. And the limited capability the free version. So, here’s this little review. I actually enjoyed reviewing this EaseUs recovery software, digs a lot about past. I’d say if recovering your data is crucial, you could give this recovery software a try. Although not perfect, but it definitely deserves a try.